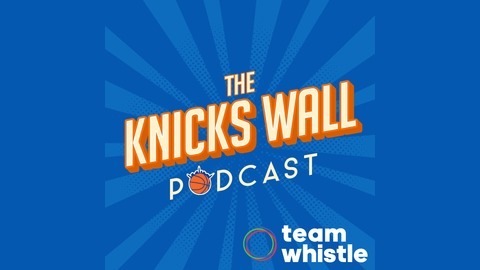 The official podcast of The Knicks Wall featuring Anthony Corbo, Kyle Maggio & Bryan Gibberman. Making sense of New York Knicks basketball one episode at a time. The 2018-19 has come and, mercifully, gone. Anthony Corbo and Kyle Maggio are back with thoughts about how the Knicks need to prepare to head towards the summer, take time to resurrect the name of Dan Gadzuric and question David Fizdale's ability to coach a contending team. TIMESTAMPS (04:14) Emmanuel Mudiay vs Earl Barron (09:32) The Knicks have (14:38) Are we through with Dennis Smith Jr. already? (21:08) Do the young players on the Knicks even fit on a team that may be contending? (29:33) What Kevin Knox can learn from Trier's role this season (36:50) Can Fizdale reasonably coach a contending team? (46:30) @TKWPodcast Twitter Questions: -Should the Knicks consider trading down with their pick? (@KevKnoxBurner) -Who projects as a better pick moving forward, Ntilikina or Dennis Smith Jr.? (@nativeson45) -What jersey am I buying next year? (@mikeplugh) RATE, REVIEW & SUBSCRIBE!! https://itunes.apple.com/us/podcast/tkw-podcast/id1258330953?mt=2 FOLLOW US!! 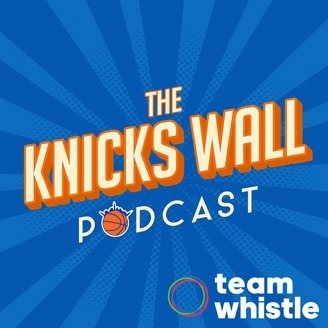 Anthony: @corboanthony Kyle: @kylemaggio Bryan: @bryangibberman TKW Podcast: @TKWPodcast TKW: @TheKnicksWall MUSIC!! “TKW Podcast Theme”—Nadaboys @nadaboys "Agent 0"—Kenney Floreat @inz-kenney "#BenGotThisShitKnockinTho — BenJamin Banger BenBanger.com "Portal"—Evan Schaeffer @evanschaeffer Produced by Anthony Corbo Part of the TKW Podcast Network.